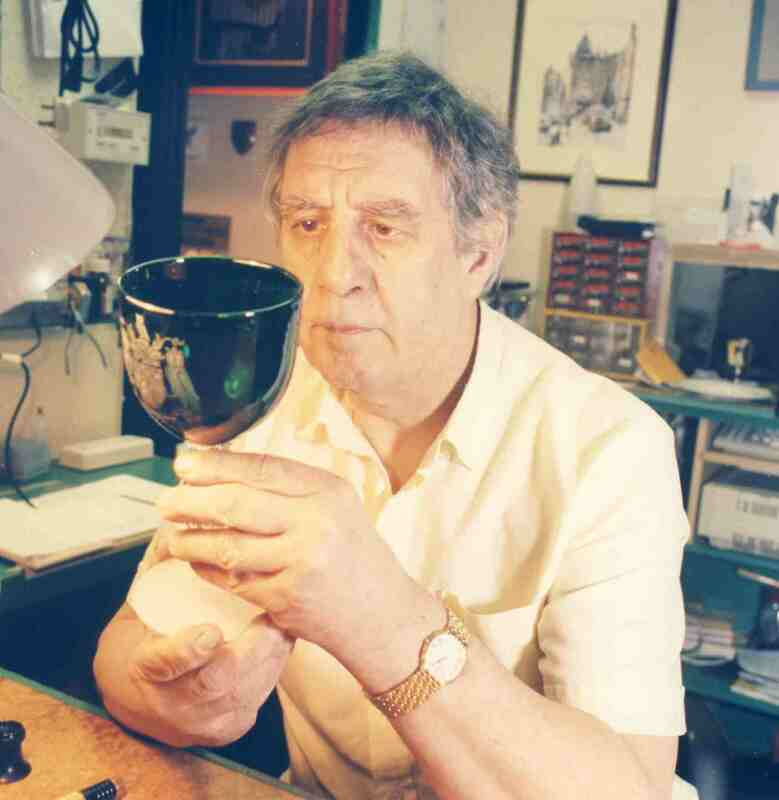 I have been a professional engraver serving a 7 year apprenticeship and supply giftware and trophies for over 48 years having a shop in Leeds Centre since 1969. I am now working from home and in my craft workshop I carry out various trade skills, including hand, machine, computer and sandblasted engraving. With a workshop based in Horsforth,Leeds all my engraving work is carried out on the premises to always try to provide the highest quality goods and engraving. I provide a friendly personal service and I am a specialist in engraving items with text and stock images as well as offering a bespoke design service to recreate your own designs, images and logos onto crystal, glassware and metalware. You can purchase quality gifts and awards from us and then, for that really personal touch, have the item engraved with text for no extra charge - for details please see our Engraving help page. Our stock includes Dartington Crystal, English Pewter, Royal Selangor and much more, all available for ordering online. For more details please see our Ordering and Delivery help page. Members of the public requiring one-off gifts to sports clubs, restaurants and industry . A club or company's logo can be engraved onto giftware and awards. . If you have any queries or feedback about products, engraving or anything else related to this website we are always happy to hear from you.